If your perception of drones involves a “toy” used by children or amateur filmmakers, you aren’t entirely wrong… but that barely scratches the surface. Drones and other classes of unmanned vehicles are making accessible various tasks for humans that have historically been very difficult, costly, or impossible. There are the more widely known uses, such as catching aerial footage of natural foliage or sporting events, but many professional industries are catching on and beginning to find innovative applications for the burgeoning technology: Security companies are using drones for surveillance and safety; insurance companies are using drones to determine damage; farmers are using drones to monitor crop yields and even collect soil samples; and perhaps the most eye-catching, select aerial transportation companies are using drone technology to develop air-taxis, which are exactly what they sound like. These are just a few examples. The potential and functionality of these devices are pushed and expanded regularly. If it’s true that the commercial market dictates the federal market, then the value associated with drones is no exception. 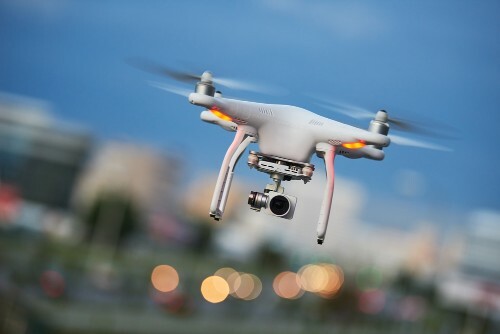 A report by McKinsey and Co. from December 2017 states that drone activity went from being valued at $40 million in 2012 all the way to $1 billion in 2017. The same report predicts that by 2026, drones will have a yearly impact of at least $31 billion on the American GDP, and possibly as much as $46 billion. The industries expected to experience the biggest lift from drones includes infrastructure, agriculture, transportation, security, media, insurance, telecommunication, and mining. The U.S. government has taken note as well and has permitted increased amounts of financial support for drones. One of the first departments to buy into the drone industry was the Department of Defense, who, having foresight of the market trends, budgeted $15.5 billion over the course of five years in 2014. If your drone capabilities are not tailored toward weaponry or military endeavors, don’t despair: a decisive increase in spending is demonstrated across many other federal agencies over the past four years. For example, NASA spent $10.6 million on UAVs in 2014, and then $64.8 million in the 2018 federal fiscal year. Similarly, the Department of Transportation spent $503,000 on UAVs in 2014, and then $10.2 million in fiscal year 2018. A similar trend is seen with the Departments of Commerce, Homeland Security and the Interior. What this demonstrates is that the federal government is mimicking the commercial acquisition of drones and drone related activities – and this is just the beginning. If you have experience contracting or selling into the federal market, then you are aware that every order from the government has a NAICS code associated with it. This is a six-digit code that helps determine an industry for buyers and sellers. The GSA schedules are long-term government-wide contracts with commercial companies that streamline the buying and procurement process for government agencies and contractors. It allows a company to do business with any federal agency and sometimes state and local governments. The ordering process is greatly simplified compared to a traditional federal contract. Winvale offers a wealth of knowledge and experience that no other GSA contracting consultancy can provide. As both a consulting firm and a GSA schedule holder ourselves, we have a unique perspective on how to get into the federal market and how to maximize the potential of your federal contract. Winvale has supported thousands of GSA schedules across all industries, and we are excited to partner with companies looking to get involved in the growing drone market. Call today to find out more about how we can help. Additionally, you can meet us at the UAS East Symposium on November 15-16 at the Hilton Arlington (Ballston), or any time in our Washington, D.C., or Richmond, VA, offices. We look forward to supporting your government opportunities.